Birmingham, 1960s: most of the post-war, city centre buildings are being demolished and the city waits as the structures of the modern era begin to take shape. But as the city waits for its concrete renaissance, the artistic youth, impatient as ever, make things happen. In late 1968 five young members of the Midlands Art Centre, restless in the centre’s conservative programme, made plans for a new, youthful, avant-garde movement. Mark Williams, Fred Smith, Dave Cassidy, Tony Jones and Bob Sheldon decided to break away from the MAC and form Birmingham Arts Lab, which went onto shape the city’s art scene for a generation. Birmingham Arts Lab, one of 40 or so Arts Labs across the country, was a space for young, interdisciplinary artists to experiment, collaborate and make work for the new era. Regular live events, screenings and exhibitions took place that allowed different art form to come together in new and experimental ways. It was here between 1969 and 1977 that the Birmingham Arts Lab undertook its most ambitious projects and was the central hub for creative work in the Midlands. Young artists including Simon Chapman and Ted Little and cartoonists Steve Bell and Hunt Emerson found inspiration and the necessary facilities to launch their careers in the Tower Street studios and played a major part in the running of the Arts Lab. In 1977 Birmingham Arts Lab moved to a new building on the grounds of Aston University. A former cinema, the building in Gosta Green seemed the perfect fit for the Birmingham Arts Lab whose programme had become increasingly focussed on film and live art over the eight years at Tower Street. However, it turned out that the Arts Lab had been reliant on the dilapidated, make-shift centre that had grown in Tower Street and could not survive the move to an established building. The reverential building restrained the creativity of the young group who had been accustomed to the freedom provided by their previous base. Novelist Jim Crace recalled the move to Gosta Green and the subsequent demise of the Birmingham Arts Lab. Due to creative and financial constraints, in 1982 the Birmingham Arts Lab merged with the university’s art centre to form The Triangle Arts Centre, a conventional arts complex that ran until 1994. Despite the Birmingham Arts Lab’s demise in the early 80s, it was the longest running Arts Lab in the UK, gaining it a fabled reputation, and has had a lasting impact on the Birmingham arts scene. Birmingham continues to be a thriving base for experimental arts, with creative hubs in Digbeth and the Jewellery Quarter owing a great debt to the early pioneers of the Birmingham Arts Lab. 50 years since the birth of Birmingham Arts Lab, Flatpack Film Festival is paying homage to the group with exhibitions and events across the city. 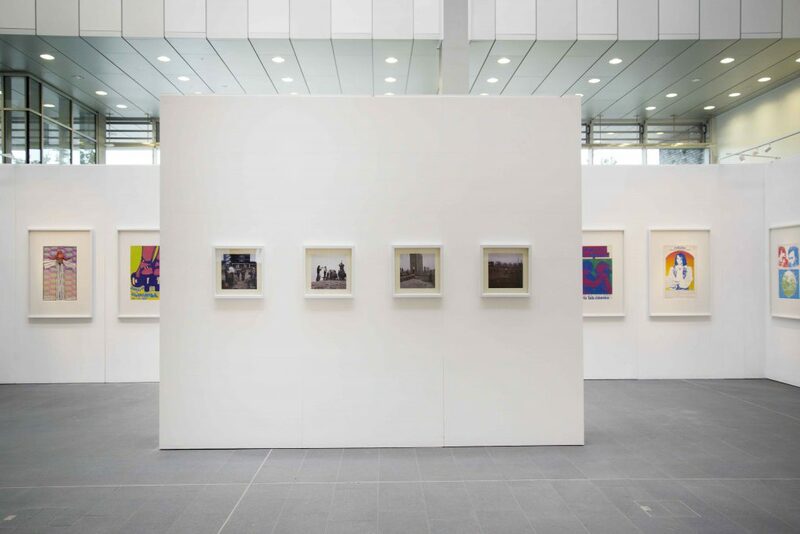 The ten day festival, which runs from Friday 13th April until Sunday 23rd April, includes artist talks, live events and exhibitions at Birmingham Open Media, Midlands Art Centre and Parkside Gallery. Parkside Gallery’s exhibition ‘Flatpack Film Festival: Birmingham Arts Lab’ features iconic, original prints by some of the Art Lab’s most prolific artists including Bob Linney, Ernie Hudson and Ken Maharg. At a time when Andy Warhol’s Campbell’s Soup Cans was still hot off the press, the printing press was a major part of the Birmingham Arts Lab. 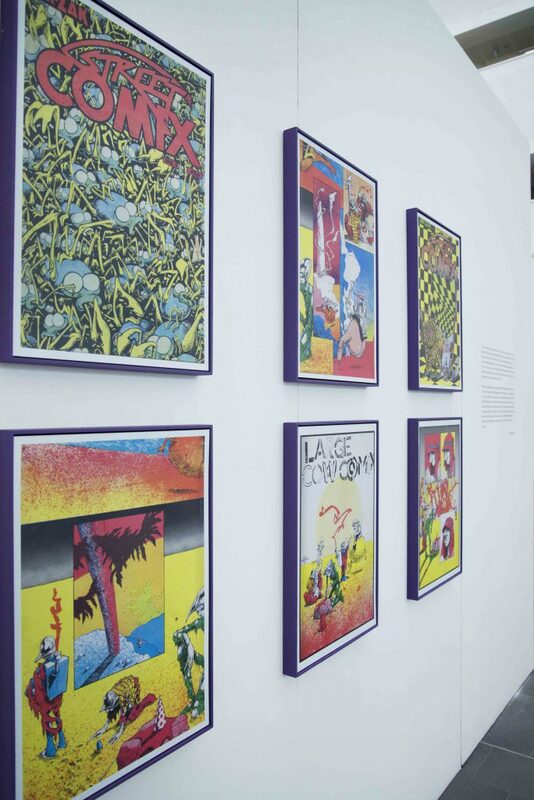 Initially used to print posters to promote events, the press soon became a catalyst for artistic output, being used to produce comics and artwork as well as commercial products. Over a decade, the screen printed material became an emblematic strand of the Birmingham Arts Lab and helped define its brand and activity. 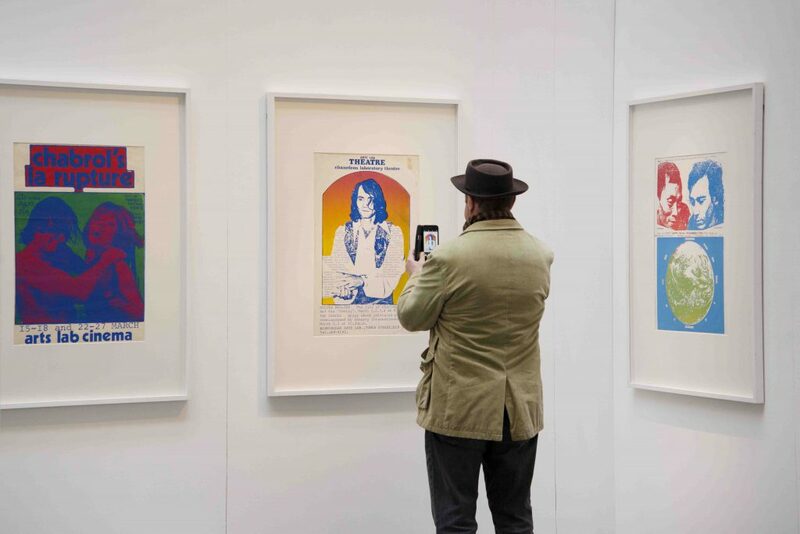 This is reflected in the posters and comics exhibited at Parkside Gallery which build a picture of this creative, experimental hub and of the artists who worked there. The pieces featured, on loan from Birmingham Museum & Art Gallery, include some of the best work produced by early-career artists who found creative freedom at the Arts Lab and went on to be international names in the world of design. The posters tell the story of the group’s creative journey as the Birmingham Arts Lab went from a one room arts space to one of the largest and most renowned Arts Labs in the country. Flatpack Film Festival: Birmingham Arts Lab is open at Parkside Gallery until 25 May 2018. Birmingham Arts Lab artists Ernie Hudson and Bob Linney will be in conversation, discussing their work and the Arts Lab on 13th April 2018, 17:00, at The Mockingbird. More information can be found at https://2018.flatpackfestival.org.uk/.